and it's LIVE and so full of passion!" I've always wanted to do another LIVE album and when one of my favourite places here in the hills at Burrinja became The Skylark Room, I thought "Yep, it's time". The boys and I had worked most of the songs in pretty comfortably at various gigs and festivals, they were flowing well, getting fun and tight, so I felt we were ready. The management at "The LARK" were really into the idea of doing a live recording at their beautiful new venue too, so we went for it! There's a bunch of originals – a couple of new ones and some which have been recorded on previous releases, plus a few favourite covers – so many great songs out there to enjoy, so much art to make! I wish I could live for 300 years – but with my 30 year-old body of course. The concert itself had a great energy – a full room with lots of laughs – we've selected most of the songs we recorded on the night (there are always a few that don't make the cut) – we've added in a couple of gags just for fun but essentially this is as it was on the night, and I feel we've successfully captured the vibe of a concert featuring "The Tracey Roberts Quartet". I wanted the CD artwork to reflect the colours of the night too and the way I feel about working with my guys, Jon, Andy and Rob. They are fabulous musicians – smart and funny, and great to hang out with – I really appreciate their willingness to work with my original material too – looking forward to playing together for many years to come, working on new songs, creating quality music and knocking out performances that feel as good as this. it just fits together like a glove "
In Celtic folklore Selkies are playful, contradictory creatures who live in the ocean as seals but on a full moon they discard their fur skins and transform into humans and venture to the shore to sing and dance. The Selkie women were intoxicatingly beautiful nad fishermen would often try to nab them for themselves. 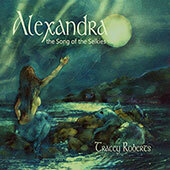 This song was created after hearing the Selkie tale told by a performer at the National Celtic Festival who came from the Isle of Skye and Tracey crafted it into this beautiful song, which also inspired the artwork on the sleeve. There is another song on this single (the "B-side" which is a beautiful rendition of the classic traditional Celtic folk song "The Water is Wide". 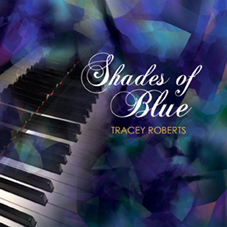 "Tracey Roberts is one of the unhidden gems of the hills... "
This is primarily a high-quality audio product with a visual component - it is a very fine recording of the concert at LIVE at Baker Street in July 2013 where Tracey played a 30 minute instrumental improvisation on the grand piano in the magnificent 33and1/3 Amphitheatre. It felt appropriate to call this piece (and the whole concept of improvised piano music) "PLAY ME". The second half of the concert comprised smaller 1-2 minute improvs inspired by suggestions from the audience, and this Blu-ray contains 6 of the best of those too. There are interviews about the concert (both the 30-minute pieces and the shorter improvs ) and also a segment where Tracey describes selected pieces of artwork and explains her music-colour synesthesia, what it means to her and how she uses it to create her music and art. interpretation of Hallelujah I had tears in my eyes "
For years, Tracey had always wanted to do an album with a Steinway grand piano including playing a few instrumental pieces, completely improvised, just to see how it went - recording on the spot. Out of that came two wonderful pieces of music, Chasm (inspired by one of her illustrations of a piano keyboard emanating from a the bottom of a rocky cliff) and Snow - which conjures up images of ice crystals in a snow cave. She has also included some originals on this CD - Jeremy, a macabre and violent tale of lust, The Quiet Room, a poignant look at loneliness, Somewhere Green - her take on the contrasts between all that is ugly and all that is beautiful, (inspired by the film AVATAR ) and Cafe on the Corner, which is a whimsical description of many of the characters she knows in her beloved hills. There are 3 intimate jazz standards on this album, You go to my head, Round midnight and What'll I do? and a delightful cover of Cat Stevens' Moonshadow with exquisite harmonies reflecting the symmetry of the "arms", "legs" and "eyes" mentioned in his lyrics. Her own version of Leonard Cohen's Hallelujah drew rave reviews from the recording producer and business manager of Baker St, Recording Studios. This album presents original songs plus a few favourite standards - a very laid back selection featuring clear, pure vocals and the sublime textures of a full-length grand piano. Just the singer, songs and the Steinway - a class album. "Charlie is one of the best songs I've heard about our relationship with indigenous Australians. The lyrics are superbly constructed. 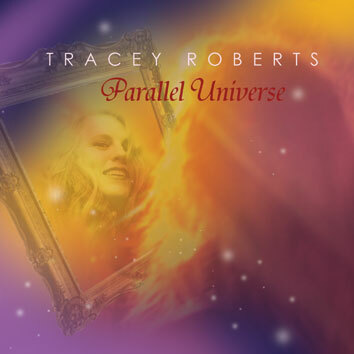 Tracey is a poet and this song is worth the purchase price on its own..."
This CD took a year in the studio and contains 11 rich and diverse songs which, as Paul Strahan, recording producer, likes to say..."It's a little slice of history". True enough, as this collection of songs looks not only at the eternally powerful theme of love for partner, (Forever), passion (In the blood) and children (SNAP) but also at very strong issues for everyone in the 21st century - the stresses of living in the information age (Liquid Blue), concerns about the environment and terrorism (Rainbows after rain) and dictatorship (Magic Wand). There are also some wonderfully spiritual true-story songs (Charlie, Grandpa's watch) and the favourite hit emerging appears to be the song Tracey wrote about her 4WD (if Joni can do it with Big Yellow Taxi, Tracey can do it with Big Red Truck!). This album is powerful yet smooth, it's fun, dynamic and thought provoking with melodic songs, intelligent lyrics, strong arrangements and exceptional musicianship. Style and sass. This EP was born out of the fact that there were so many new songs recorded for the new studio album "Parallel Universe" and it was suggested that another small collection of songs could make a new album at the same time. On this EP there are five emotive songs of love, hope and understanding inspired by the Boxing Day tsunami a few years ago, and the death of a lovely friend and musical colleague. The title track is Tracey's first foray into instrumental music. With the exception of a poppy little number to finish off the EP with a smile, the rest of the songs are more loungy jazz-pop style tracks - with vocals - including the live recording of what is becoming a gig favourite - the ethereal and haunting piece entitled HOME. 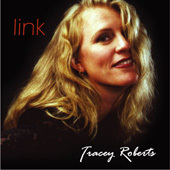 This CD was whipped up in a few days for the Port Fairy Folk festival gig in 2008 - a wee album of 5 songs - an original song from each of these exceptional singer-songwriters, (Tracey Roberts' quirky cabaret version of Little Man, Maria Forde's philosophical Now is all we have and Janette Geri's beautiful In the air.) There are also included a couple of traditional Celtic pieces, Greensleeves (with a more unusual 6-8 feel) and Wild Mountain Thyme (which is just gorgeous...). The girls performed these songs at Port Fairy (along with others) and this CD just about sold out in that one festival. "The harmonies blew me away..."
"Wild Mountain Thyme is just honey ..."
"Great album - well done. Congratulations." "She's really something to see live..."
Having secured a few gigs at DIZZY's jazz club in Melbourne in 2005, one of Melbourne's top jazz venues, the opportunity was created to record a live album there - especially with the exceptional musicianship of the guys in the quartet - some of Melbourne's best jazz musicians. Also, there's been a bit of interest from certain folks in the past few years to produce an album with some jazz standards on it so that's how this CD was born. There are a few original pieces on it (Little Man and Night in Amsterdam) - it's a fun album which captures the energy and laughter around a live performance. need to write another song in your life..."
After quite a few years' break from recording (busy being a music agent, a graphic designer and illustrator, building a house and becoming a mother) Tracey has finally recorded a number of her own songs again - this time with a lighter and more acoustic arrangement. Recorded at Pangaea in Melbourne with recording producer, Chris Hallam, this CD has four songs, the most impressive being the first, Daniel's Hands, written about her son. There is a dreamy, cosmic query into truth (If you told them), a poignant, almost tribal a cappella piece (Home) and a cruisy, jazzy number about the appreciation of friends and time (Harvest Moon). Again displaying her ability to write interesting lyrics and music combining quality with diversity, this is a beautiful collection of intimate songs to listen to quietly and enjoy time and time again. and some gentle lifestyle satire. which are enhanced by imaginative harmonies and arrangements." This is Tracey's second CD - it really is a treasure box of beautiful, melodic songs, written in collaboration with Wim Oudijk and Frieda Gerhart. It creates a feeling of breezyness and inspiration using rich, imaginative music sprinkled with musical gems and thought-provoking lyrics. There are stories (Isabella's song, So much love), tales of fantasy (Welcome to my dream) and love (Peculiar affair, Love and fear), as well as reminiscing (Cafe days) , a giggle at the rigors of western society (In the burbs) and some philosophical soul-searching (Signs, No rhyme or reason, On and on). The sky features very deliberately as a theme - definitely to be listened to with a comfy chair and a glass of wine. The debut solo CD, recorded in Holland with a collection of songs co-written with Dutch record producer and musician, Wim Oudijk and Australian lyricist, Frieda Gerhart. Theatrical musical arrangements feature very strongly on this CD and the material is quite varied - often the case with first albums. There are gorgeous ballads (Simple things, If I could, Hold onto your dreams, Broken hearts), more heated emotional pieces (Jealousy, Where's the fire? ), whimsical (or is that Wimsical..? ) tunes (Happy girl, Outs and ins, He cares for me), a comment on the power of movie stars on the psyche (Matinee Idols) and the true story of Goutier and La Dominguez (Silvia's Eyes). A diverse range of songs highlighting the different colours of the voice singing them. but something essentially delightful in the woman herself." Halftone Records - Music Sampler 2006 "Night in Amsterdam"
Trad and Now - Pick of the Crop 2010 "Parallel Universe"
A Mountain of Sound 2012 - 3MDR Mountain District Radio 97.1FM "The Affair"
Trad and Now - Pick of the Crop 2013 "Somewhere Green"
A Mountain of Sound 2014 - 3MDR Mountain District Radio 97.1FM "Peculiar Affair"
More Women in Song - Recorded LIVE at the GEM Theatre 2014-15 "Somewhere Green"